2014 was a weird, wooly year for video games. The big new consoles were finding their feet, and most of the games we were expecting to play got pushed back to next year. Some of the ones that did come out were great, but others, well… weren't as great. 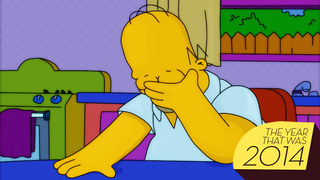 As has become a tradition here at Kotaku, today we'll be listing the biggest video game disappointments of 2014. (Here's 2012's list, and here's 2013.) As in past years, I've compiled this list with contributions from our entire staff, and they're presented in no particular order. Noteworthy: We're not furious about all of these things or anything—a lot of entries on this list are simply things we hoped would be better than they wound up being. Hey, we get it. Games are huge and difficult to make, and sometimes they launch with a little missing polish. We don't think our expectations in this regard are unreasonable: Online launches are usually rocky, and it's actually a good thing that a game can be polished and improved after launch. All the same, 2014 set a new low standard for buggy, poorly optimized, and sometimes flat-out broken games. 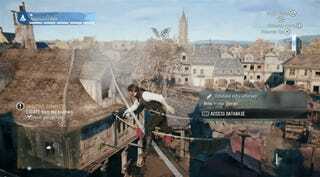 Assassin's Creed Unity made a lot of promises. It was the first major new-gen-only game from a third party publisher, not only with updated visuals, but with enhanced design and a previously unprecedented level of detail in its depiction of revolutionary Paris. What a shame, then, that the final game wasn't just a technical mess—it was a mess as a game, too. While Unity's most-discussed problems mostly involve frame-rate and crowd density, the fact remains that it was a poorly designed, microtransaction-peddling, dull game that fell far short of the standard set by its predecessors. There are lots of straight-up problems, too—the 2.00 software launch was an embarrassment, causing systems to hard-lock when put to sleep and causing other smaller, aggravating issues. PlayStation Network seems to suffer from regular outages, which is an increasingly big deal in an era of always-online games. The PS4 is a fine machine, and some of Sony's more experimental software ideas—things like Share Play and Remote Play—are really cool. All the same, Sony needs to get their console's software fundamentals up to scratch. This one's fresh, so it still hurts. Partway through a December PlayStation Event, Final Fantasy producer Shinji Hashimoto took the stage. The Final Fantasy VII logo appeared on the screen behind him. The crowd gasped. FFVII on PS4! Could this be… are we really getting a remake? Is Square Enix going to deliver the most-requested remaster in history? Well… no. Turns out, they're porting the old PC version of the game over to PS4. That's it. I've never seen hype whiplash so extreme. The final game was… well, it had some good ideas. Some very good ideas, even. But it was such a mess, in general. Its interesting ideas—like camera hacking and control over a city's power grid—felt half-assed, hastily balanced on top of a pile of unnecessary stuff lifted from Grand Theft Auto. Its story was drab and forgettable, its hero even more so. It treated women poorly and people of color even worse, while shying away from the hot-button topics it purported to address. Even the game's atmosphere and visuals, which so stole everyone's imaginations during its E3 debut, were watered down to the point where the finished game was often downright ugly, and even the PC version needed the help of modders. Watch Dogs had enough good ideas for a superior follow-up, and given Ubisoft's penchant for serialization, we'll doubtless get one. Unfortunately, the game we got this year was a real letdown. Sony's proposed solution to the PS4's lack of backwards compatibility, to let us stream games from older systems directly to our PS4 and Vita, sounds okay on paper. But there's a catch: You have to rent games individually, and the prices to do so were ridiculous at launch. While prices have lowered somewhat since then, they remain far too high. Who on earth wants to pay $30 to rent a digital game for a limited period of time? Why should anyone who owns these games on older systems pay for the temporary (temporary!) privilege of streaming them to a PS4? PlayStation Now was already an imperfect solution, and the audacity of Sony's pricing model is just insulting. "Rich, cinematic storytelling," promises the back of the Destiny box. And that's kind of what we were expecting—a game with an enjoyable story to match all that lovely music and beautiful art. These were the same people who made Halo, after all. Surely we'll at least get a popcorn-y sci-fi yarn, right? Well… no. As it turns out, Destiny's story was a hilarious mess, and not in a good way. Half of it was hidden in Grimore Cards that could only be read outside the game. The other half was spooled out in hasty loading screen voiceover or impenetrable cutscenes in which new characters would arrive, say something vague, and vanish, never to return again. What is The Darkness? How does it relate to these aliens we keep killing? What's the deal with the Awoken queen? For that matter, what is the deal with any of these people, what drives them, who am I doing all this fighting for, and why? This year, EA had a notion to start a Netflix-like subscription service that gives players access to its games for a flat monthly fee. That sounds like a neat idea, but unfortunately, EA Access doesn't really live up to the Netflix comparison. For $4.99 a month, or roughly the cost of a full-priced game per year, you get access to a pretty small list of games, most of which are pretty old. You get a 10% discount on EA games, though you'd need to buy a lot of those for the service to pay for itself. New, big-ticket games are nowhere to be seen, with Dragon Age: Inquisition getting a limited early demo and Titanfall specifically "excluded from all EA Access features" per the service's fine print. On top of all that, EA Access is only on Xbox One. It really is a good idea, but in its first incarnation, it's not exactly the all-you-can-play buffet we'd hope to see from a major publisher's subscription service. We were all excited for Titanfall. Turns out, we had good reason to be—the game came out, and it was a hell of a lot of fun. We played the heck out of it for a few weeks, and had a blast. And then… well, we kinda just stopped playing. Based on a poll we did a little while back, a lot of you did, too. The game had a lot going for it: Great level design, smooth controls, huge robots. It just didn't have that stickiness to keep us playing, which for a multiplayer-only game can be a real killer. These days, it can be hard to find people to play with, and some of the matchmaking lobbies feel like ghost towns. The addition of a co-op horde mode came a bit too late, and most people were already off playing other games. Rarely has a good game burned so brightly and faded so quickly. It may seem like a little thing, but it isn't. The PS4's dedicated screenshot button has proven to be one of the console's neatest, most useful new features, and makes games feel more social and sharable in precisely the way console manufacturers are always promising. A lot of us constantly use it, and as games continue to include nifty photo modes, it seems like a safe bet that we'll be using it even more. (And, yes, we know Nintendo systems support screenshots in a variety of ways, too.) The Xbox One's lack of a comparable function is increasingly glaring—games like Shadow of Mordor might add a neat 360-degree photo mode, but in order to get a screenshot, Xbox One users have to go through a convoluted process of capturing a video, exporting it, and grabbing a screenshot using software on their PC. It's rarely worth the hassle, and Xbox One users are missing out as a result. Few names in video games are more storied than Thief. The series more or less invented the stealth-simulation genre back in the 90s, and after a decline in quality over the years, felt ripe for a triumphant reboot. When word arrived that a new Thief game was being made by Eidos Montreal, the same studio responsible for the terrific Deus Ex: Human Revolution, we were psyched. But when the game came out, it was a real stinker, earning a place among the year's worst. How did it all go so wrong? Rumors and reports suggest the game's development was deeply troubled, with constant changes in personnel and leadership resulting in a project with no clear direction. Whatever happened, Thief was a woeful disappointment. Garrett deserved better. When the PS4, Wii U and Xbox One launched, people were understandably a little bit nervous about hard drive space. 500GB (or 32GB for the bigger Wii U) just didn't seem like a lot of room, particularly considering how games keep getting bigger as they get more elaborate. Turns out… yep! That's not enough room. Just a year into each console's lifespan, most of us have completely run out of space. There are solutions for this, of course—you can install a bigger hard drive in your PS4 or use an external USB drive with your Xbox One or Wii U. All the same, we just got these things—would a terabyte have been too much to hope for? The whole thing feels kind of like an experiment in progress, and it's not clear what Valve is actually attempting to do. Was this whole thing just a test balloon, or a halfhearted initiative that'll eventually be set aside? Possibly. Will Valve deliver on the concept next year and finally see it through to some sort of exciting conclusion? Maybe. For now, we'll just stick with our regular old PCs, thanks.